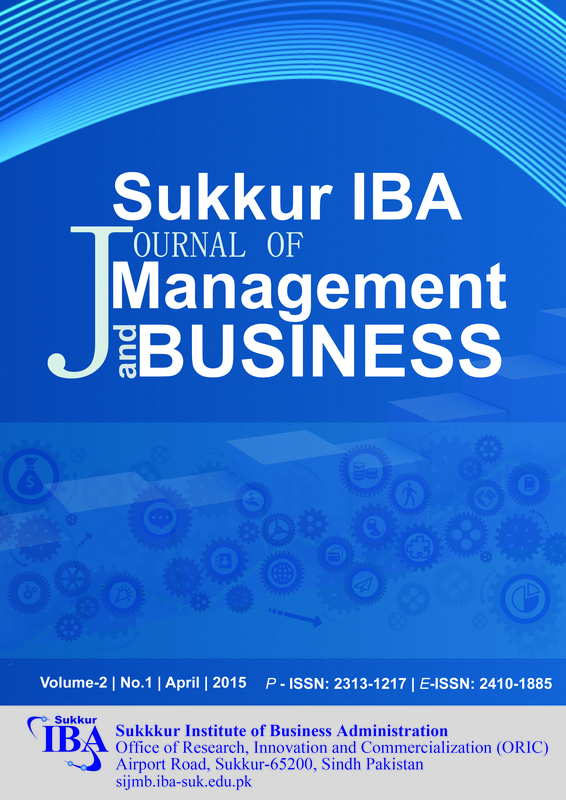 I am really excited to bring you the latest issue of Sukkur IBA Journal of Management and Business (SIJMB). This issue contains double-blind peer-reviewed articles which address key business, management and economic issues pertaining to both national and international levels. SIJMB adopts all standards that are prerequisite for publishing quality research work. The Editorial Board of the Journal is having academicians and researchers from technologically advanced countries. Their valuable contribution is crucial in maintaining the quality of the Journal. The findings of the published papers are exceptionally important for both policy formulation and decision making. Hence, various stakeholders can benefit from it. Moreover, the open access policy of the Journal further increases the readership and grant access to a wider audience. The mission statement of Sukkur IBA clearly demonstrates the importance of research. The research that does not only solve and identify the existing problems but also generates new and innovative ideas. SIJMB is a unique effort of Sukkur IBA towards its commitment to creating research-based community. The journal provides a valuable platform for national and international researchers and publishes their research findings and disseminates it to the largest stakeholders. The journal charges no any fees and also provides a complimentary copy (in hard form) to each author also the supplement copies of the journal distributed to HEI and R&D institutions of the country. The journal has been archived by world’s renowned scientific repositories. Journal has received recognition from several research agencies, universities and renowned professors. In coming years, the journal aims to improve its current state by attracting more national and international researchers in the field of Business, Management, and Economics. On behalf of the SIJMB, I welcome submissions for the upcoming issues of the journal and looking forward to receiving your valuable feedback.